Welcome to Christy Tillery French, whom I met as one of the L&L Dreamspell authors. Christy is a multi-published, award-winning author whose books cross several genres. She is the author of The Bodyguard series, the Obsolete series, several standalone novels, as well as co-author of the Appalachian Journey series. To find out more about her work, visit her website at http://christytilleryfrench.com. What brings your writing into focus-- the characters, the stories, the love of words? Although I generally write genre fiction, which is plot-driven, the characters are what bring my writing into focus. With each book, there is always one character I fall in love with – many times not the protagonist or antagonist but a more tertiary one, and that character is the one who leads me through the story. What inspired your latest book? 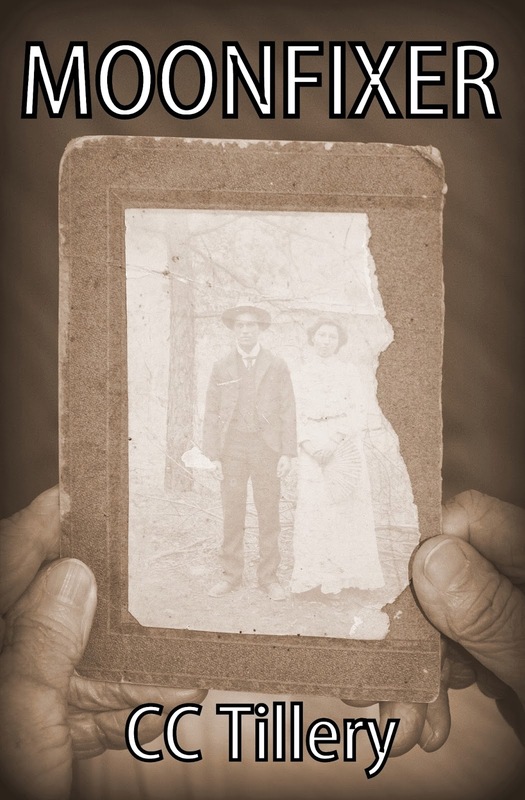 My sister Cyndi Hodges (Caitlyn Hunter) and I just released Moonfixer, book 2 of the Appalachian Journey series which is based on our great-aunt Bessie Elliott who lived in the western mountains of North Carolina in the late 1800s and early 1900s. Bessie was a healer, psychic and independent woman born at least 100 years before her time. She was part-Cherokee and herbalist, utilizing herbs the Cherokee did to treat those who were injured or sick. Our dad and uncle tell these heartwarming, at times humorous stories about Bessie and the mountain people surrounding her and this is our way of making sure these stories don’t just fade away. We’re happy at the reception both books in the series have received so far and hope it continues on. Would you share a bit about your next project? Actually I have three ongoing projects. I’m finishing up The Bodyguard and Bridezilla, book six of my Bodyguard series. I’m writing the second book in my Obsolete series, which is a dystopian action-adventure. And Cyndi and I have just started the third book in the Appalachian Journey series, Constant Gardeners. At times, I despair I’ll get any of them done! What's the highest compliment someone could make about your writing? The best compliment I ever received was from Dolly Parton who wrote me a letter after reading a couple of my books. She told me I was as “crazy and out there” as she was. I love that! I also received a letter from a fan who was going through a traumatic time in her life and she told me that she used my Bodyguard books to escape from her troubles. That really touched me. I also like it when readers say they learn things from the Appalachian Journey series, which we research extensively so that we can offer a lot of historical detail as well as Cherokee legends, culture and medicines. MOONFIXER: In the dawning years of the 20th century, Bessie Daniels leaves her home town of Hot Springs and travels east over the mountains to live with her new husband Fletcher Elliott in the Broad River section of North Carolina. Bess and Fletch stay with Fletcher’s parents for the first five years of their married life with Bessie teaching in a one-room schoolhouse and Fletcher working at the lumber mill in Old Fort while they save to buy property of their own on Stone Mountain. Thus begins Bessie’s next phase of life where the gift of sight she inherited from her Cherokee ancestors grows stronger, her healing abilities are put to the test, and she encounters a vicious secret society that tries to force her and Fletcher to turn their backs on a family sharecropping and living in one of the cabins. When Bessie and Fletch refuse to give in to their demands, the group strikes back, bringing pain and suffering to their once serene existence on Stone Mountain. book (Whistling Woman) and can be found at online book stores as well as brick-and-mortar stores – if not on the shelf, they can be ordered. So great that you and your sister can work together as a writing team. It's good to know what you are working on these days. How thrilling to receive a fan letter from Dolly Parton! Thank you, Jacquie! I cherish that letter. It's a wonderful experience writing with Cyndi - really brought us closer together and I enjoy so much spending time with her, researching, plotting, writing and editing. Fabulous interview, Christy and T. W.! Christy, of all the books I've written, I've enjoyed taking the "Appalachian Journey" with you the most and I'm so excited about Charming Gardeners--it covers a time which to quote Aunt Bessie was the "happiest time in her life" and we're going to have so much fun doing further research on the setting! As for Obsolete, one of my favorite books of yours, you forgot to mention that it's free on Kindle this weekend! Thanks, Cyndi (Caitlyn)! I feel the same! Love ya back!